Hello and welcome back to year three of the Month of LOVE Guest Blogger Series on Yankee Doodle Paddy! When I started my blogging and social media journey in the fall of 2015 I didn’t have any grand plans or purpose except to “spread the LOVE”! 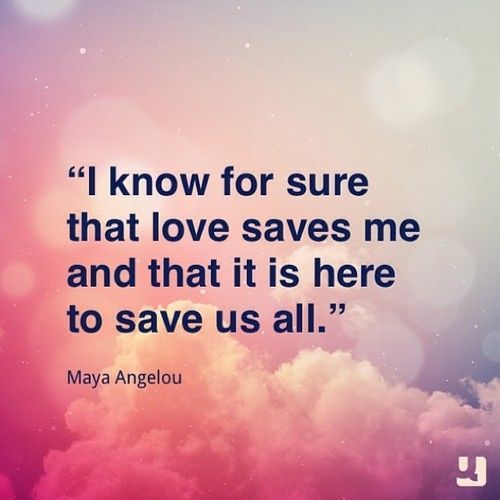 Yes I wanted to share foodie and travel posts and stories of my past, but everything I do is and always will be infused with love since that is my purpose in life. But since I’m always banging on about love, this guest blogger series came about as a way to let YOU the reader, the commUNITY, have a platform to share your take on my favorite topic, LOVE! It has been a while since I have actually written a blog post, so I thought I would share my own LOVE story on day one of the month of LOVE! And while I have many love stories (I am the LOVE Enthusiast remember) I have never actually shared this love story. It is a love story about ME! Many of you may know that I am a Christian. I was born into the Catholic faith, but since my parents divorced when I was young, I wasn’t ever formally indoctrinated into the religion. But I have always felt the presence of God in my life. It helped that my Grandpa O’Neill would take me to mass on Sundays, and even when my brother and I got in trouble my mom would make us walk to church for our penance. It was only when I became a teenager that I began an even deeper relationship with God. I went to Bible studies and church regularly, which was a big departure from the horrors going on around me at home. My grandfather had passed but I clung to his rosary beads for comfort. It was during this time I really began to understand that I was put on this earth for a purpose, and that was to LOVE. Many decades later I read the book The Purpose Driven Life by Rick Warren and it helped me to put all of it in a more succinct way. And eventually I went through the RCIA program and officially became a Catholic. As a Christian, I am called to share “the Good News”. But I am not the evangelizing type. 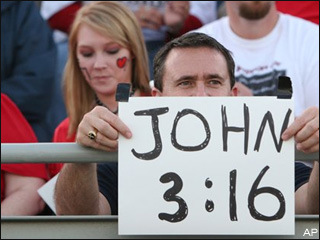 No offense to others who do that, but carrying around a sign reading “John 3:16” isn’t what I am called to do. Nor do I go knocking door to door passing out leaflets. Again, no offense to others who are brave enough to do that. I once read a quote, “Be careful how you live your life, you might be the only Bible some people read.” So for me, I try to live out my faith as best as I can each and every day. Being Christian isn’t just at church on Sundays! I don’t even preach to my best friends, many of whom are of different faiths or no faith at all. But the one thing I do, is LOVE! Oh and side note, I like to think that BIBLE stands for “Basic Instructions Before Leaving Earth”. But my love story is this, I can’t generate LOVE on my own. I am a love enthusiast not a love machine. LOVE comes from my Creator, who is the source of the love. In fact, I know many times, loving the unloveable would be impossible if not for that love coming from above. My job then is to be an instrument or a vessel. And I need to stay as open to that love coming through me as possible. Like a hose that water runs through. If the hose is filled with gunk and muck the water won’t flow through as easily. If that makes sense. So how do I stay open? One way, which I share on the Healing is in Your Hands podcast (due to air on Wednesday, February 6th) is through Self Love. This has been the most difficult love for me to achieve. Why? 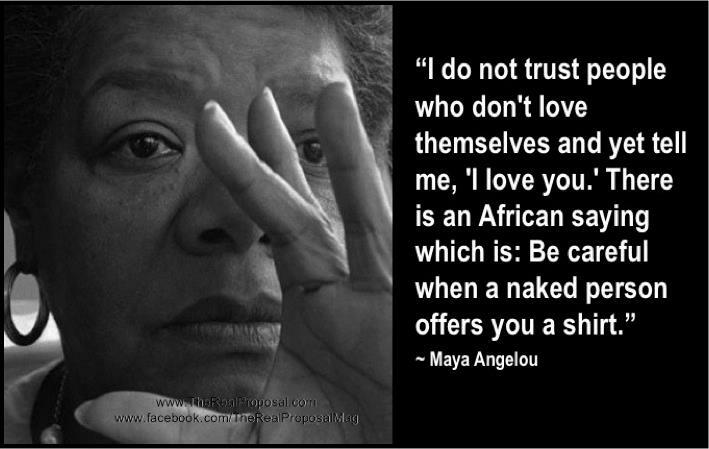 I have indeed felt love for myself, but if love is action then what am I doing to show myself love? 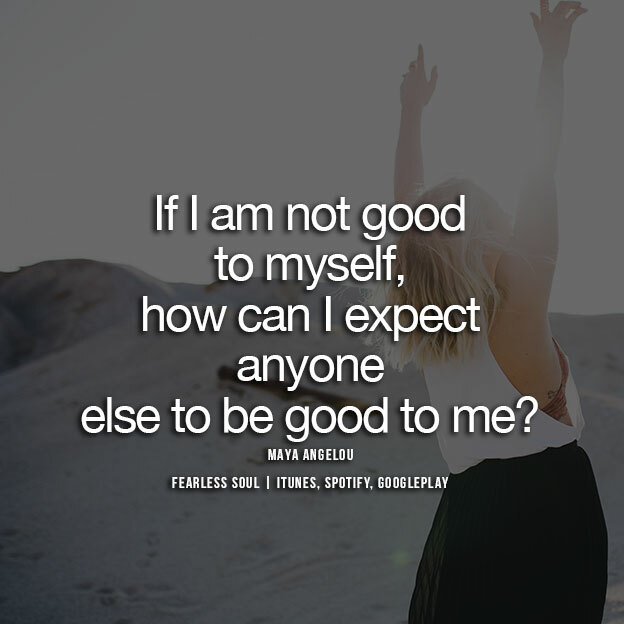 Because in reality, I always put others first. I would rather go without to give to another. I prefer to start and finish each day by bringing joy to those around me. I have never felt the need for “me time” because everyone else’s needs are more important to me. It is only the past couple of years I have seen that mentality is out of balance. 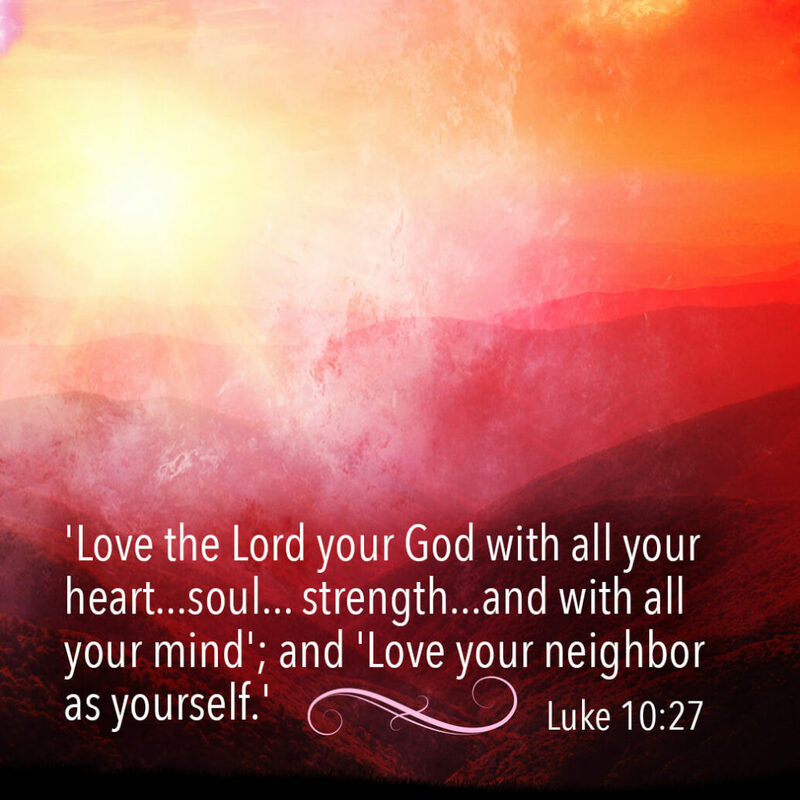 In fact, the Bible says “Love the Lord your God with all your heart, soul, mind and strength and love your neighbor AS yourself.” Notice I bolded ‘as’ because it doesn’t say love your neighbor MORE than yourself! I am 54 years old and I am still learning, still growing. The past couple of years have been the most difficult of my life for reasons I won’t go into now. But just to say, I am grateful to God and my purpose to LOVE which have gotten me through. And my awakening to this concept that loving myself is AS important and will allow me a clearer channel to continue to fulfill my purpose in life! And consciously loving myself sends an unconscious message to others. That my friends, is another whole blog post in and of itself! Thank you for beginning my February on such a positive note. Oh, what an incredible “Bible” you are for so many! You are the epitome of love, and have such a loving, kind, beautiful heart!! You truly inspire us all to love better and be better human beings. You are such a blessing to me and so many, and I pray you have an abundance of love and blessings, as well.